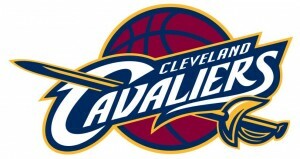 The Cleveland Cavaliers have fallen from the heights of an elite NBA franchise. Two seasons ago, the Cavs were finishing with the best record in the NBA for the second year in a row. In 2007 the Cavs went to the Finals. Last season they were hard to watch. They lost an NBA worst 26 games in a row. What makes the failures the Cavs have experienced so tough is how it happened. In 2003, after a decade of being one of the worst teams in the league consistently, the Cavaliers finally got a break. They were rewarded with the first pick in the NBA draft. Not only was it the first pick, but it was the first pick in a draft that LeBron James was entering. LeBron did not disappoint. He won the rookie of the year award in the 2003-2004 season. In his next season, he increased his scoring, assists, and rebounding from already impressive numbers. In his second season, he took a team that was constantly one of the worst teams, to have a winning record and barely missing out of the playoffs. In his third season, the Cavs were able to get over the hump and make it to the playoffs. They would take the Eastern Conference powerhouse Detroit Pistons to 7 games in the first round. The Cavs lost that game and were eliminated from the playoffs, but LeBron James’ play led the league to admit that the Cavs were a team to be contended with for the long run. They would not be disappearing anytime soon. Individual records were being set by LeBron James in many different areas for his amazing play. He was a one man show for the Cavaliers. The Cavs were slowly putting some talent around him, but he was carrying the team to the places they were going. In 2007 LeBron James carried the Cavs to their first ever appearance in the NBA Finals. Few people thought the Cavs were ready to make the playoffs, but LeBron James did more than his shared to get them there. The Spurs would overpower the Cavs and sweep them in the Finals, but the point was made. The Cavs are on the scene to stay behind the play of James. The next two seasons, James followed up his trip to the Finals with back to back MVP awards. Not only that, but James was also named the Defensive Player of the Year in 2009. That is one thing that set James on a different level. He is arguably the best offensive and defensive player in the league. Few others can boast to ever play at that level. The Cavs could not make it back to the Finals. Despite the best record in the league, their efforts were in vain come playoff time. They would lose to the Magic and to the Celtics in the seasons in which they had the best record. People began to question LeBron’s ability to play in clutch moments of the game. They were willing to forget how he scored the teams last 25 points in a playoff game against the Pistons a few years ago in the playoffs. The media question LeBron in the clutch when he passes to the open teammate despite it often being the smart basketball play. People were looking for LeBron to be a hero in the last minutes, while LeBron was looking for the smartest basketball play. The Cavaliers were forever changed in the off season of 2010. LeBron James was a free agent. He was deciding where to play in the future. LeBron had a press conference which will always be called “The Decision.” LeBron James announced on live national television which team he would play for. He did not tell the Cavs in advanced that he would not be returning. They found out at the same time as everyone else that LeBron would be “taking [his] talents to South Beach” to play for the Miami Heat. The hearts of all Cavalier fans were broken. He was their hero. He was native to Ohio were the Cavs play. He was drafted by them. He took them to their first and only Finals appearance. He won two MVP’s for them. He became the best basketball player in the world while playing for them. Then he walked away. He promised he would bring them a championship earlier in his career, and then he walked away never fulfilling his promise. Cavalier fans went from adoring LeBron to hating him with a passion. There were instances in which people video taped burning his jerseys to show their disgust with him. The first season without LeBron showed how valuable he was to the team. They finished his last season with the best record in the league. The first season after LeBron James departed, the Cavs finished with the worst league in the Eastern Conference. LeBron James changed the face of the franchise when he arrived. He changed the face of the franchise when he left. The Cavs fortunes changed for the better in the 2011 draft. They had traded way Baron Davis to the Clippers for their first round pick. That pick against all odds ended up being the first pick in the draft. The Cavs then had their pick and the Clippers picks in the first five. With those picks the Cavs drafted point guard Kyrie Erving out of Duke and Tristan Thompson out of Texas. Irving has proven himself worthy of the first pick in the draft this season. He already has a few game winning shots under his belt as well as leading the Cavs to an improved season. He is only twenty years old, and the Cavs future rests in his development into one of the elite players in the league.